Since 2007 we have raised over $300,00 for AYA Cancer Research. We have contributed to the organizations that conduct AYA Cancer Research like Huang Lab at the University Hospitals and Case Medical Center and the Angie Fowler Institute Adolescent and Young Adult Cancer Initiative at University Hospitals of Cleveland. We desire to focus our support on important clinical research being conducted in NE Ohio where we reside. We believe the research being conducted is and will make a difference in finding a cure for cancer. The monetary support helps to prevent the interruption in research being conducted in the laboratory. 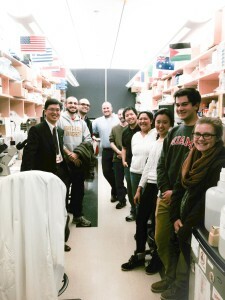 We cannot afford to have interruptions in AYA Cancer Research! Our funding also pays for YA Cancer Survivors to attend conferences such as “Stupid Cancer” where the survivor can interact with others who have had similar experiences. We believe the self-esteem of the YA increases through participation in such unifying and validating programs and events. The Wellness Program supports Pediatric and AYA Cancer patients in treatment. We provide nourishing snacks, information about wellness and cancer treatment, and most importantly the BE CALM STAY STRONG packages. The BE CALM STAY STRONG packages are distributed to YA Cancer patients with the assistance of area social workers at University Hospitals and the Cleveland Clinic. For more information contact: info@fightconquercure.com. Help us accomplish our mission of curing cancer in our young people with a quick, one time financial donation. NEED HELP? Interested in eradicating pediatric, adolescent and young adult cancer? Interested in finding better ways to treat and cure this awful disease? Interested in helping establish a WELLNESS PROGRAM for PAYA Cancer Survivors? We’re always open to opportunities and collaborations that aid and support AYA CANCER PATIENTS! 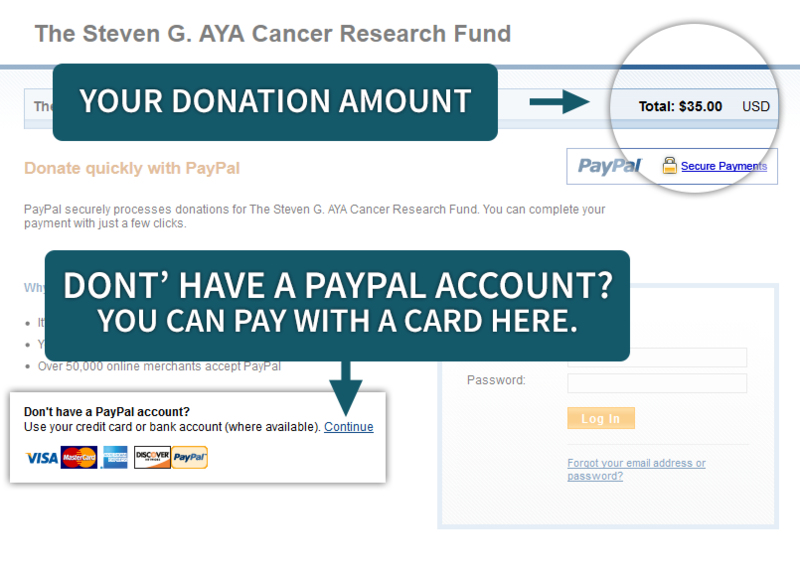 Designate the Steven G AYA Cancer Research Fund as your Charity of the Month or Charity of the Year. We will provide you with the literature and materials to make this event a reality. We would be happy to speak to your staff to encourage participation. Designed to reward Cancer Research Fellows or Students to continue their work in PAYA Cancer): We will list your organization on our website as a benefactor to the Scholarship Fund and inform the Scholarship Recipient of your generosity. To date our Scholarship Fund has supported Researchers at Case Medical School and University Hospitals of Cleveland. Our supporters have helped us raise over $150,000 for this effort. Our Wellness Kits are free to patients – but cost us $125 each. Your contribution to the Be Calm & Stay Strong Wellness Program will help off set the cost, and your name will be shared with the patient receiving your gift of hope! Smoothy Day is an all time favorite for pediatric, adolescent and young adult cancer patients and their families. Consider helping us sponsor “Smoothy Day” at Rainbow, Babies, and Children’s Hospital.